ADR, Aviation, Civil and Commercial Litigation, Construction, Employment, Environmental, Human rights, Constitutional, Judicial Review, Public Law, Creditors’ Remedies, Personal Injury. Nick was admitted to the roll of Solicitors of England and Wales in 1991 and spent the first years of his career in private practice in the UK as a commercial litigation solicitor practising mainly in professional negligence and employment law. 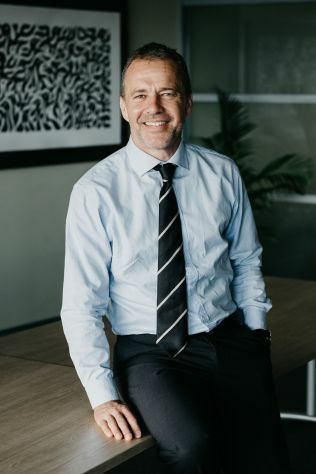 In 1997 Nick left the UK to work in the South Pacific island state of Tuvalu as the People’s Lawyer, VSO position, with a wide range of civil and criminal law responsibilities. After 12 months in Tuvalu he joined the Attorney General’s Office in Fiji as Principal Legal Officer for two years before returning to the United Kingdom, where he worked as an in house lawyer for Greenpeace UK, a prominent non-government organisation. In July 2002, he was appointed Solicitor-General of the Caribbean island state of Grenada, a position he held until returning to Fiji to join Munro Leys in 2004. He is also Managing Partner of Munro Leys. Nick’s practice has a particular emphasis on commercial, administrative and environmental law. He is admitted to practice law in New Zealand, Tuvalu and Grenada as well as England and Wales and Fiji. Nick is the honorary solicitor to British High Commission.